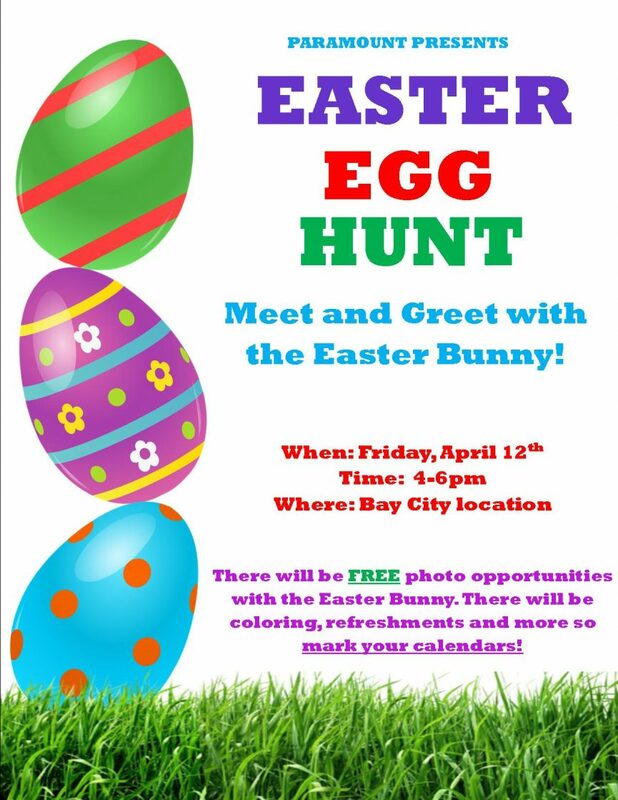 Paramount Rehabilitation Services of Bay City is happy to present Easter egg hunt and meet and greet with the Easter Bunny. Our event is indoors so weather is not a factor! Bring out the whole family for this completely free event!